Have a bridal shower penciled in? While most of us are familiar with the no-white rule (it’s the bride’s day! ), what about the rules of the road aisle when it comes to dressing for a bridal shower? 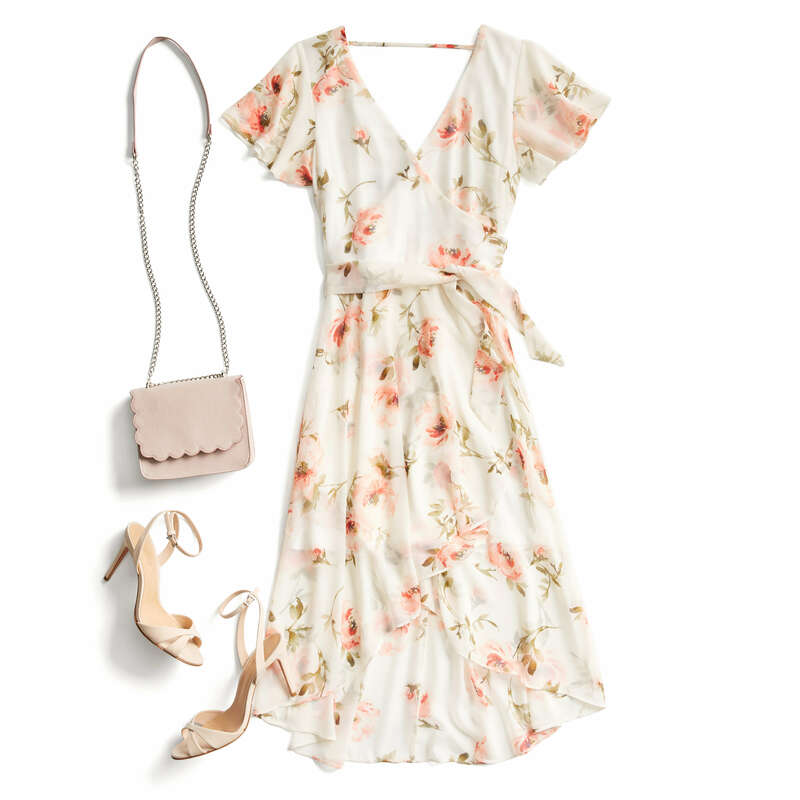 See our tips on what to wear to a bridal shower! Are you the one walking down the aisle? Traditionally, soon-to-be brides are expected to wear white, but cream, sand and neutral hues are all fair game too. If you’re more of a modern gal, try a crisp white jumpsuit or if you’re more on the feminine side, try out a streamlined sheath dress for your celebration. When it comes to deciding what to wear, start with the dress code on the shower invitation. If you’re a bridesmaid and the bride has requested coordinating colors for the shower, fashionably comply! When it comes to finding your perfect dress, start with the silhouette, then move on to prints and patterns. Florals, stripes and ruffle details are our favorites to celebrate an upcoming wedding. MOTB? Just like the other guests, stick to your daughter’s dress code (if there is one!). If your daughter is calling for a more casual day, a skirt and blouse is a stylish combo or you can keep it classic with an always flattering shift dress. Stylist Tip: And when in doubt, dress it up—better to be more formal than the only guest in jeans. What are you planning on wearing to your upcoming bridal shower? Tell us!